Home Products Iron Dry/Steam/Spray 2200W S/Steel "Glow"
Iron Dry/Steam/Spray 2200W S/Steel "Glow"
Brighten up your ironing experience with Mellerware’s stunning Glow Iron! 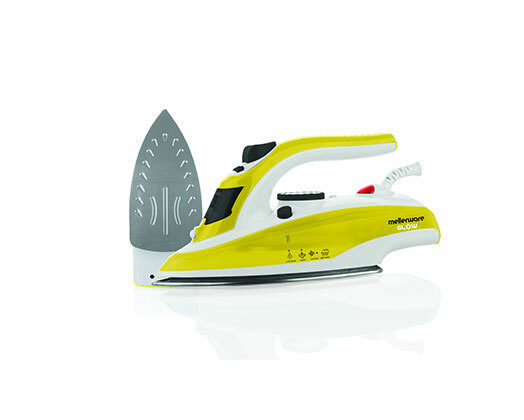 This iron features a massive 300ml tank with a stainless steel soleplate… it will knock any crease of its feet. With its variable temperature control, multi steam functions and Mellerware’s state of the art self-cleaning system, the Glow Iron is bound to last for many years to come!